To Love a Rose: Deck Garden - Take One! 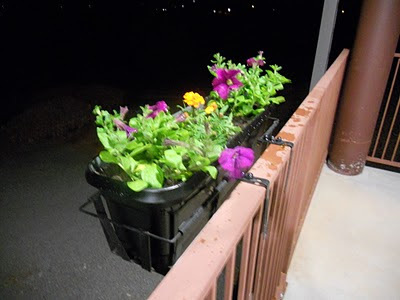 We also bought three deck hang/supports for three flower boxes and several, brightly colored flower pots in yellow and turquoise (the colors we'd like to eventually have as accents in our deck furniture, if we ever buy any! :). 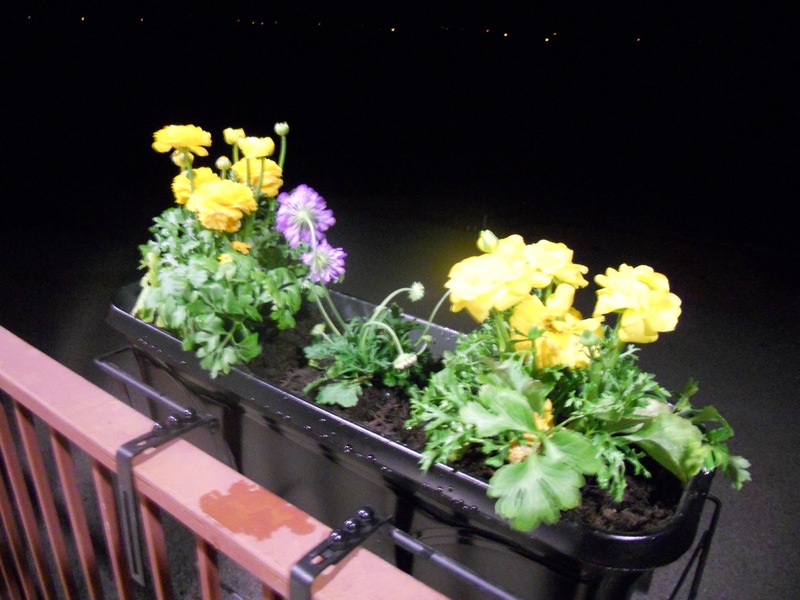 I was really pleased to find that WM carried very reasonably priced organic potting soil. So, we bought a bunch of that up (Who wants to eat veggies and fruit that wasn't grown in organic soil?! Not I!). 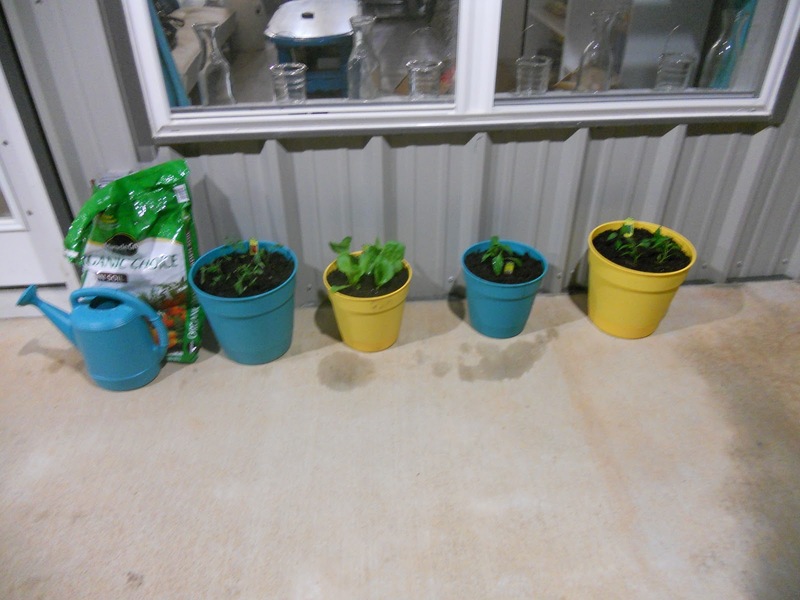 As soon as we got home, I started planting like crazy. It took me back to the days when I was a kid growing up on the farm in Iowa. My mother was a super-woman and always put in a massive (I mean MASSIVE!!!) garden that we lived on (she canned everything) all year round! 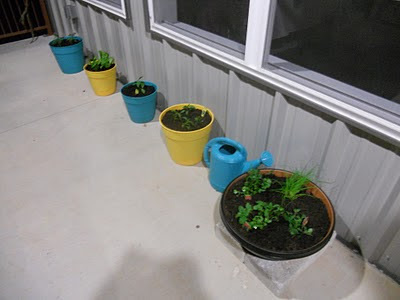 So inspiring...it also makes my little deck garden look a bit sad in comparison, but you've got to start somewhere and work with what you've got, right?! Several of the veggies lined up looking so pretty in their bright pots! 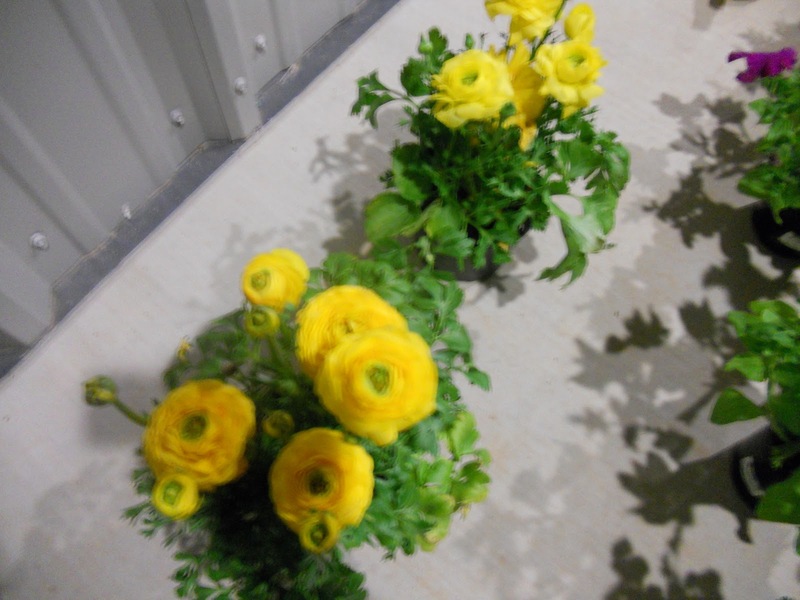 The ranunculus before planting - aren't they gorgeous?! Veggies lined up with the herbs on the end. The fuschia petunias and orange marigolds. Rather blurry photo (sorry!) 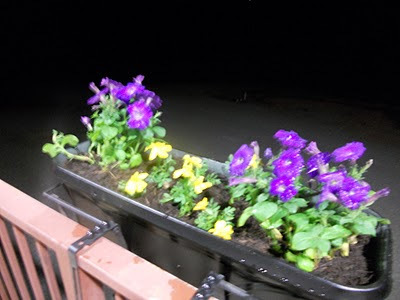 of the purple petunias and yellow marigolds. The ranunculus and the purple butterfly flowers - these are my faves! 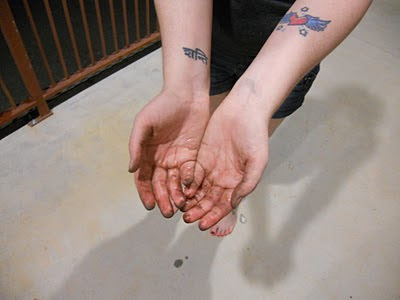 Cheers to flowers, plants, and dirt under our fingernails!